If you could paint a picture of a perfect, beautiful hilltop setting, this would be it! This 2 bedroom house with above ground pool is in Unincorporated Jackson County and backs to hundreds of gorgeous and private empty acreage. 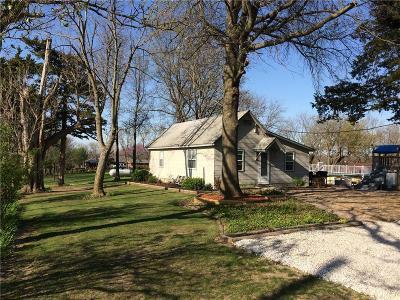 The home has newer gutters & HVAC as well as hardwood floors and updated stainless steel package in the kitchen. Pole barn has a recently built 8âx20â deck for the shooting range and also overlooks the pond. Large detached garage has plenty of room for a workshop and additional storage!